Preheat oven to 200°C. 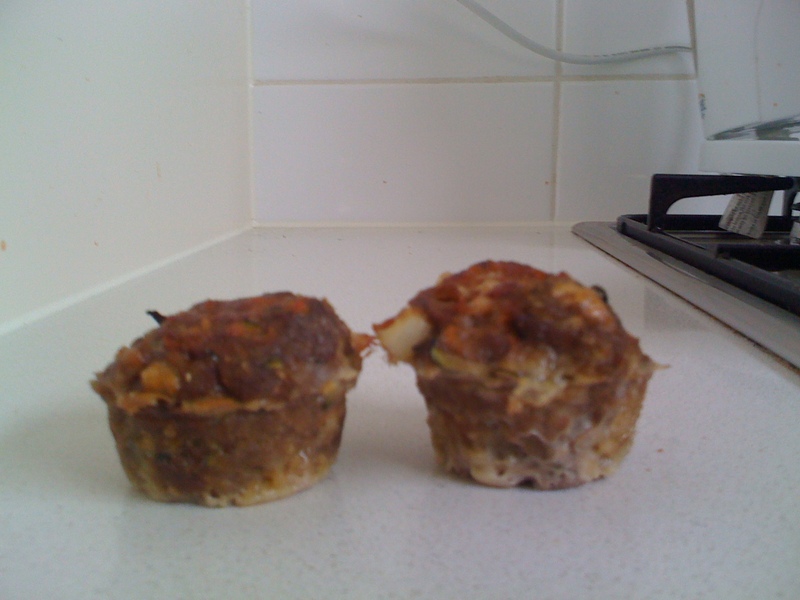 Spray a muffin tin with cooking oil or line baking paper and set aside. 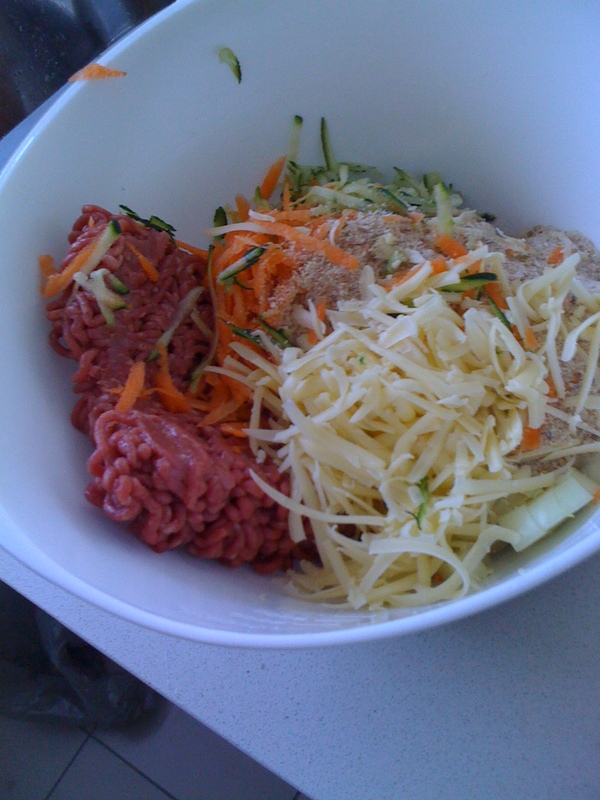 In a bowl combine the beef mince, egg, onion, garlic, carrot, zucchini cheese and breadcrumbs. Form the mixture into muffin sized balls and then press them into the muffin tin. 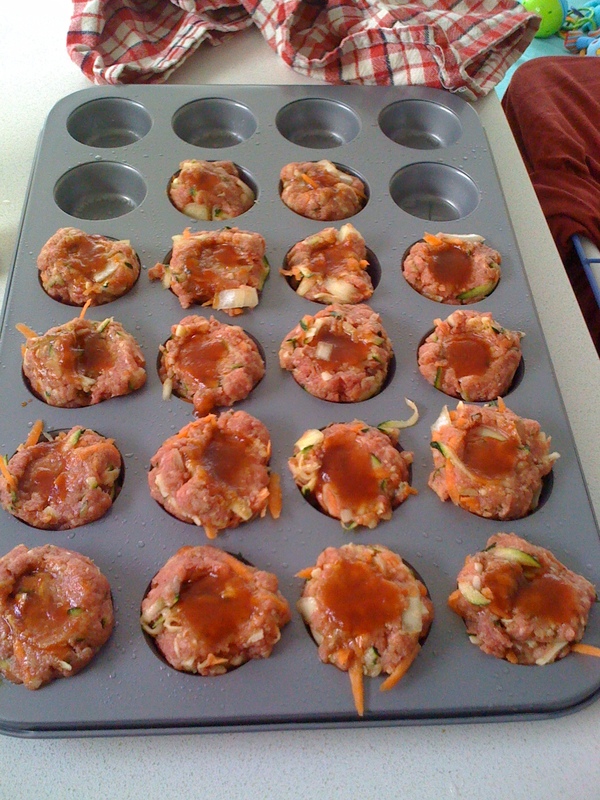 Brush the top of the meatloaf muffins generously with the glaze mixture. Put everything in a bowl and mix, put on oiled tray in lumps, put a sauce on top, and cook at 200 until edible/you’re hungry. Now go check out my friends awesome site www.neat2eat.com.au!! you don’t even have to have a kid to make themed sandwiches and other such food.. so get on it! !